The answer to marriage equality is now uncovered and ready for the masses, in this fascinating and logical book by new author Maxime Villeneuve. The Third Way puts the liberal/conservative marriage polemic to rest by revealing the simple and lasting solution to marriage equality — where everyone’s a winner. The answer to marriage equality is now uncovered and ready for the masses, in the fascinating and logical book by new author Maxime Villeneuve. 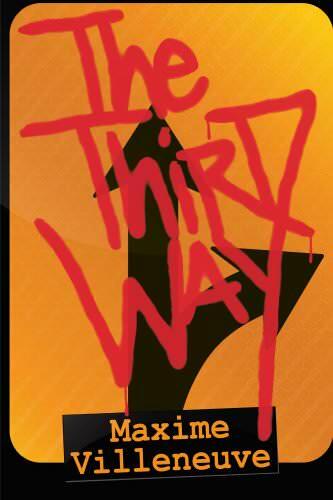 The Third Way (available free to Liberty.me members!) puts the liberal/conservative marriage polemic to rest by revealing the simple and lasting solution to marriage equality — where everyone’s a winner. The Third Way by Maxime Villeneuve The Third Way puts the liberal/conservative marriage polemic to rest by revealing the simple and lasting solution to marriage equality — where everyone’s a winner. Kick off the discussion! Questions, comments, observations or elaborations? Either reply here or create a new discussion using the tag Library_the-third-way!